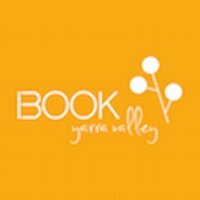 Yering Station is a Yarra Valley destination not to be missed. The first established vineyard in Victoria, it’s award-winning winery offers a multi-faceted experience including an a la carte restaurant, cafe, bar, cellar door tastings and sales. Enjoy wine and wonderfully matured cheese in the cellar door or match with rustic Italian cuisine in the Restaurant. Cellar Door opens daily 10am-5pm. Hargreaves Hill Brewing Company is an award-winning microbrewery producing a delicious range of craft ales and lagers. Alternatively for a more detailed map please go to- Google Maps: www.google.com.au/map/dir. Please feel free to contact us for further information on any of our flights and packages. Simply fill out the form below, and we will respond to your enquiry within 6 hours or the next business day.